Auto Service, Oil Change & Car Maintenance near Farmington Hills " "
At Southfield Chrysler Dodge Jeep Ram, we strive to provide you with the best service experience possible. We perform all of the routine scheduled factory maintenance, such as oil changes, front-end alignments, and tire rotations along with more extensive repairs and body shop work. Routine service can significantly extend the life of a vehicle, as well as maintain performance and efficiency-all while potentially saving you money by avoiding more extensive repairs down the road. Let Southfield Chrysler Dodge Jeep Ram help protect your vehicle by placing it on our expert care. You can schedule your service online with one of our Service Advisors. 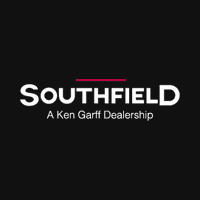 At Southfield Chrysler Dodge Jeep Ram, our experienced certified service technicians are specially trained for your specific Chrysler, Dodge, Jeep or Ram vehicle. They only use genuine OEM parts recommended by the manufacturer. Whether changing your oil or replacing your brakes, we always maintain the highest standards for delivering the best service possible, every time!